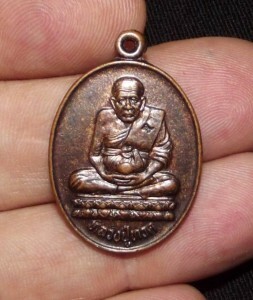 Sacred Copper and Bronze Artifacts smelted together to make this Sacred Image of Luang Phu Tuad of Wat Chang Hai. 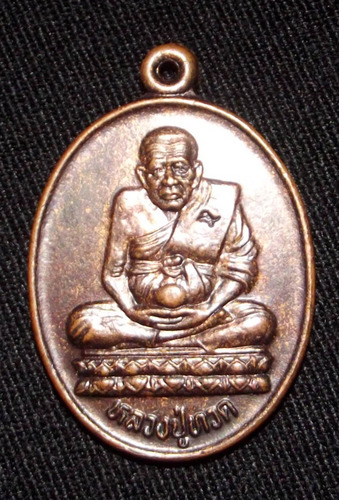 Famous Classic Buddhist Guru Monk Coin Amulet from Wat Pako in Songkhla, which is of course one of the Five Major Thai Temples associated with Luang Por Tuad, and the Original and number one Temple of his Legend, above even that of Wat Chang Hai, as far as his personal Legend is Concerned, and not speaking purely of Famous Amulets. The rear face features the Sacred Prataat Chedi Stupa and the Footprint of Luang Por Tuad. The surface sheen of the Sacred Chanuan Muan Sarn has an Enigmatic Sheen which lends it both Character and Individuality, and a Beauty of its Own. 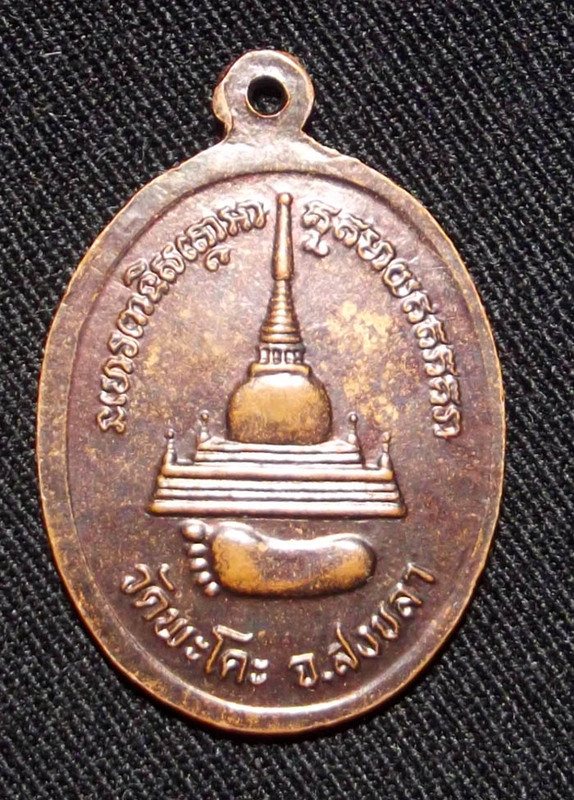 This amulet was released along with the Rian Sema 2534 BE (1991), and was empowered in Putta Pisek Blessing at Wat Pako in Songkhla with Pra Ajarn Nong of Wat Sai Khaw Presiding over the Ceremony. The Code Stamp on the Sangkati (sash) with the Khom letter ‘I’ mkaes this coin a Pim Niyom from the Master Block Pim. An Excellent, Classic Thai Buddhist Amulet with the Image of Luang Por Tuad, Empowered by the Great Ajarn Nong – a most Sacred, Powerful, but surprisingly affordable for such a Distinguished Guru Monk Coin Amulet. 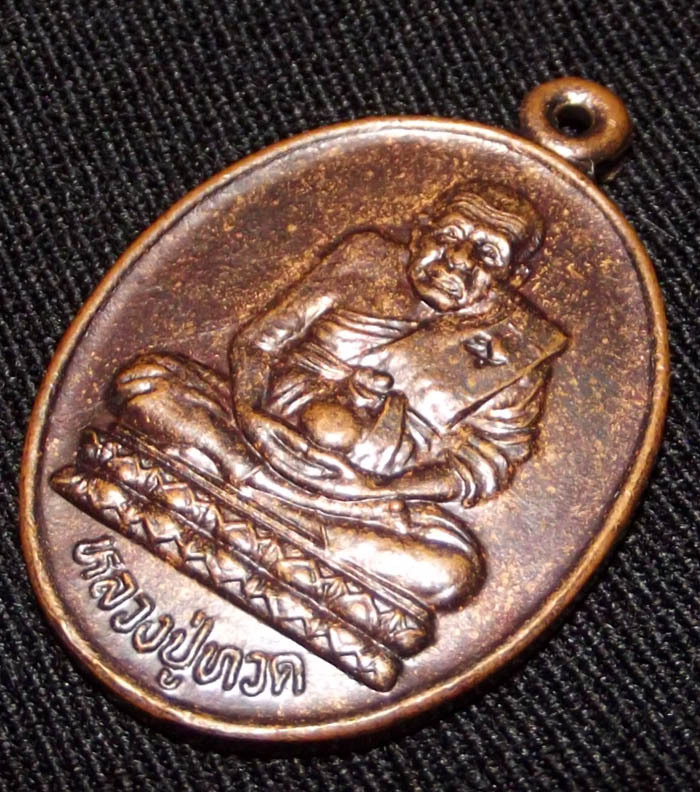 It is a medium size amulet, fitting for both a Man or Woman to wear, which Boasts a great History and Impressive Empowerment Ceremony from one of the Great Masters of Luang Por Tuad Amulets, Pra Ajarn Nong. 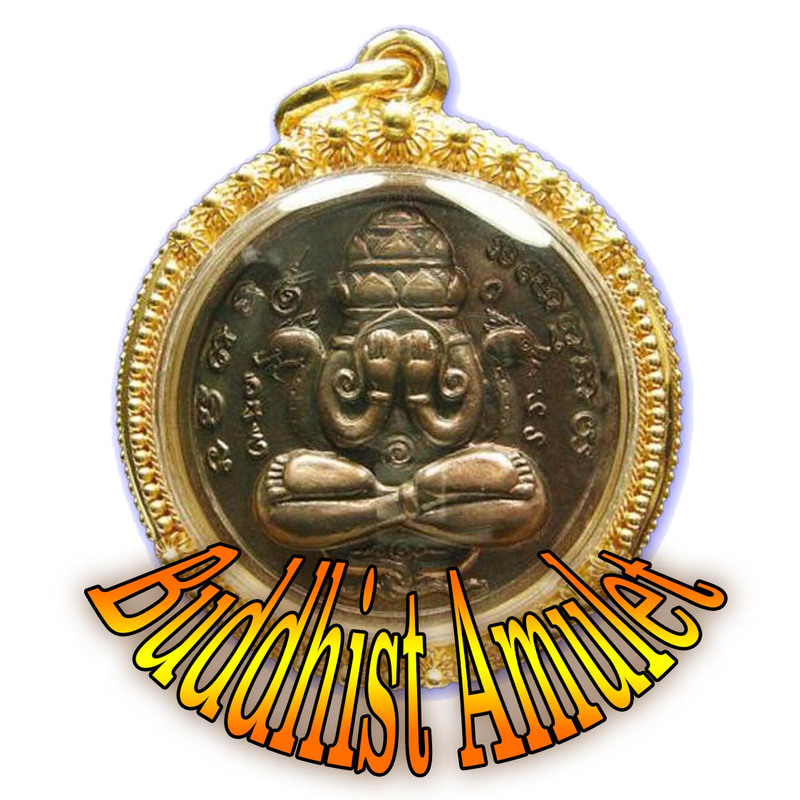 This is an amulet which any Buddhist would feel happy to wear as a protective Amulet to bring Auspicious Blessings.